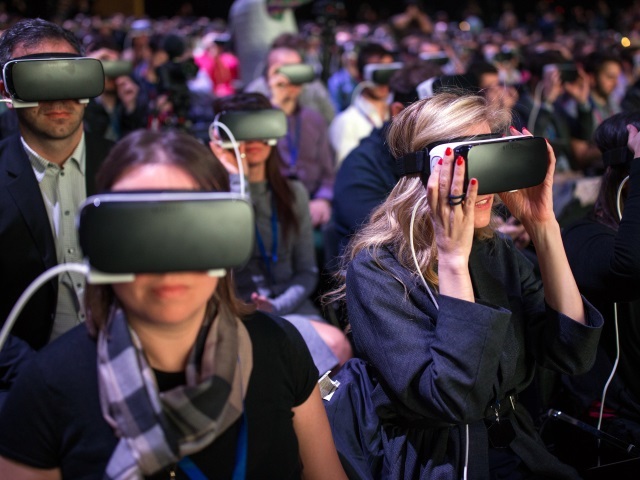 Facebook has announced its latest steps to improve the use of virtual reality on the social networking platform. It’s a more efficient way of delivering 360 videos, showing only the pixels you’re actually looking at in the highest quality, instead of delivering the entire 360 video in high resolution. To make this work, we create dozens of variants for every 360 video that gets uploaded to Facebook, each tailored to a specific viewing angle, and then as you watch the video, we rapidly adjust which variant we display based on where you’re looking. By doing this, we’ve quadrupled the resolution quality of 360 streaming video in VR by reducing the amount of required network bandwidth by 4x—so videos look clearer and play faster. The Gear VR headset launched in November 2015. More than 200 games and apps have been released for the platform, and users have watched more than one million hours of video in Gear VR so far. I think about my baby daughter and the way I want to remember when she takes her first steps. When I took my first steps, my parents just took a pen and wrote the date down in a baby book … when my cousin, when her son took his first steps, she took a photo with a camera. My sister, when her son took his first steps, she took a video on her phone. But I want to capture the whole scene. So, I hope we can take a 360 video. So that way, even if my parents and my family aren’t there to experience it in person, they can feel like they’re right there with us. VR is the next platform, where anyone can create and experience anything they want. More than 20,000 360 degree videos have been uploaded to Facebook so far.